Ethan and his sister Amy are travelling by ship from England with their mother Charlotte, to join their father, who has gone ahead to Canterbury to establish the family farm. A storm hits, their vessel begins to take on water, and the captain issues the order to abandon ship. Meg, a young thief, is lowered into the lifeboat along with Ethan and Amy. A freak wave washes the life-boat away from the ship. The children wake on a wild shore and begin the battle for survival. Meg is captured by a Maori raiding party and makes contact with a young Maori slave, Tama. 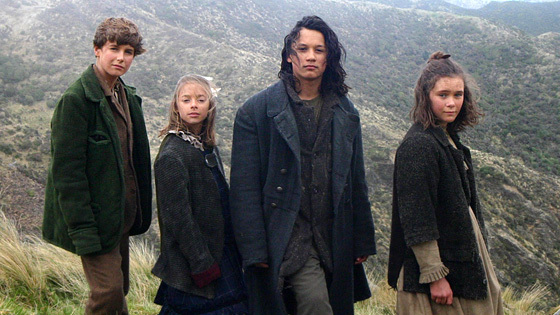 After being caught up in armed conflict between Maori and European forces the four children decide to band together to make the epic journey to the South Island.